Siftery is a service that helps businesses discover, buy, and use software applications. They recently covered the SupportBee story in their blog. Republishing our founder's interview here for those of you who might be interested! SupportBee is an email support software that helps businesses manage their customer support emails efficiently. While staying close to an email like experience, SupportBee gives them the tools needed to effortlessly collaborate with their entire team on support tickets. Kevin William David interviewed Hana Mohan, Founder at SupportBee to know more. Hi Hana, tell us about Supportbee? 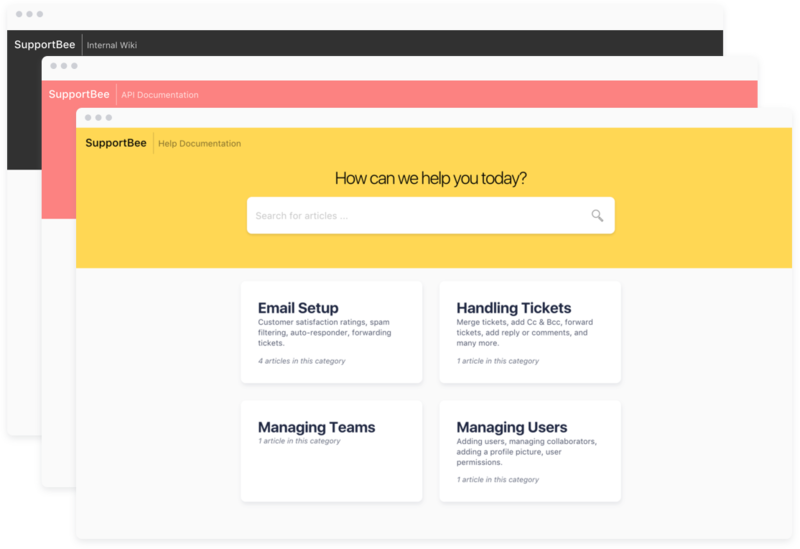 SupportBee is an email ticketing system that helps in streamlining a company’s internal communication process to offer personal and high quality customer service to their customers. For many years, we focused on building the most friendly email ticketing system. However, we recently expanded to offer features like customer portal and a knowledge base, making our service a complete help desk solution. Tell me more about why you are building this? What problem are you trying to solve? Before starting SupportBee in early 2011, we were working on Muziboo, a music community with over 500K members. We were supporting these customers using Gmail and when we couldn’t keep up, we started to look for simple to use customer support software. Unfortunately, back then the concept of an email like ticketing system didn’t exist. Customer support software would add technical mumbo jumbo to emails and confuse customers. Also, they were very complex to setup and use. If felt like they were built for large enterprises and not for small collaborative teams. That seemed like a big opportunity and that’s how SupportBee was born. From day one, our focus has been on simplicity and ease of use, both for customers and for the users using the system. For example, SupportBee’s email ticketing system is designed to be completely invisible to customers and offer a very email like experience to both customers and users of the system. The recently launched Knowledge Base software and customer portal offering were driven by customer feedback and like our email ticketing offering, are very easy to setup and use. So a complete help desk solution for small collaborative teams! What’s unique about what you are building & why do you think companies should use Supportbee? Customer support is an interesting and large space. Every company has a unique workflow and there are a myriad of software to pick from. SupportBee has two kinds of competitors in the market. The first kind offer products that to do everything possible for you, thereby making the setup and user experience complex. These are products like Freshdesk and Zendesk. Then there are products that try to keep things simple by doing away with functionality that perhaps only large enterprises need. SupportBee was the first one in this category. Helpscout and Front are two products in this category. SupportBee is a great choice for companies that offer customer support through email but want a better workflow than the one offered by their shared email inbox. Given our email like experience, if your team can use email, they will be able to use SupportBee. And you will be able to set it up and get going within five minutes! But you don’t have to live with limited functionality. As your needs evolve, you can customize your SupportBee experience using our integrations. For example, many companies prefer to have a ticket ID in the subject line and while that’s not something we natively offer, we offer a show ticket number integration that you can add to your SupportBee. We offer many such workflow integrations and integrations with 3rd party software. Tell us a bit about the different customer segments using Supportbee? What types of roles do your customers have at their companies? Most often SupportBee accounts are setup by business owners or product owners. Some of our oldest customers include companies like Abine, MKopa Solar and Heys America, a very popular luggage manufacturer. SupportBee is used by a variety of customer segments — online commerce shops, IT services businesses, schools etc. One of our first customers was DrillsandCutters and I believe we are the one of the very few software they use apart from email. SupportBee has been adopted even in the most tech averse workplaces! How are your customers using Supportbee? Could you share a few different use cases? The most common use case for SupportBee is customer support. However, a lot of our customers use it as an internal communication tool instead of a customer interaction tool because SupportBee has all the features that makes it a collaborative inbox. One such organization is the International Documentary Association. Have there been unique use cases for Supportbee that you hadn’t thought of or expected? Since SupportBee was built with the idea of customer support in mind, we were pleasantly surprised when more and more companies started using it as a tool for internal interaction which has none of the elements of customer support. 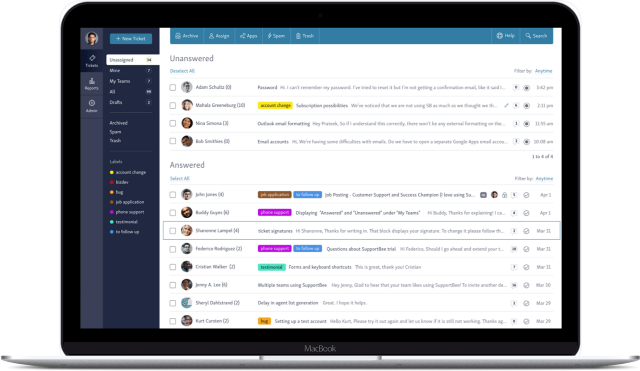 Just the ability to have an accountable work flow within the context of email collaboration makes SupportBee an interesting solution for team interaction. A lot of NGOs use us to collaborate on their work. That’s is also something we didn’t expect. They are attracted to SupportBee by its email like user experience, which even their most tech averse members are willing to adopt. One such organization is Veteran Tickets Foundation. Interesting! Were there any early ‘growth hacks’ or tactics that have contributed to your current success? One of the early growth hacks that helped us was to create pages comparing SupportBee to some of our top competitors, like Zendesk. Our Zendesk alternative page has always ranked pretty high when you search for zendesk alternative in google. That gave us a lot of early visibility. The other hack was integrating with some of the top apps of the time and getting listed on their integrations page. While much more common now, it was a relatively new technique then and yielded much better results than it does now. The biggest challenge was the one we never expected — the complexity of dealing with email. Email is an old and complex spec and a lot of the real world emails don’t even follow it! We spent almost a year stabilizing our email parsing to handle with emails in different languages, sent by old and outdated clients and dealing with deliverability issues. Integrations are a big part of the SupportBee. Customer support is a collaboration between team members and different software used by the company. 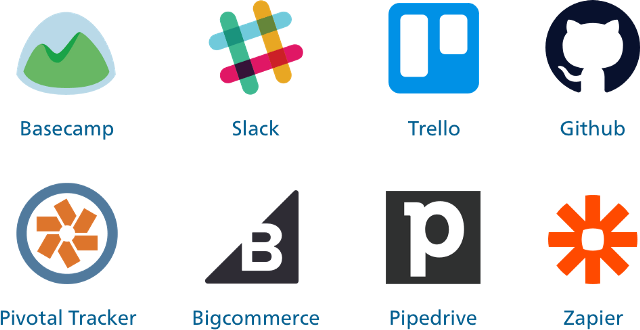 Some of our most popular integrations include Basecamp, Trello and Insightly. Also, we offer a robust API and an integrations platform that lets anyone write and submit an integration to SupportBee without worrying about hosting the integration or boring details like authentication etc. Finally before we end, What are the top products that you depend on to run the company & how do you use them? Flowdock — Even though Slack is super fashionable right now, we love the two paned interface of Flowdock that separates team chats and messages from apps we use. We have been using it for many years and while we tried Slack we could never make the switch. Profitwell — These guys help us keep a tab on our financial metrics. Everyone in the team receives a daily email from them with the most important revenue numbers (MRR/Churn etc). It helps us all stay on the same page. NewRelic — As a small team, NewRelic helps us keep tabs on our servers and applications, promptly notifying us of any problems and then giving us the historical data to troubleshoot the issue. Trello — While we do use Github issues, we use Trello for high level project planning (both for development work and growth work). SupportBee integrates nicely with Trello so we also use Trello to manage customer feedback on the product. Quickbooks— I am the only one at the company who uses QB but I love it. It helps me maintain our books and hand them off to our accountants for filing taxes end of the year. It’s a great software in a boring space!